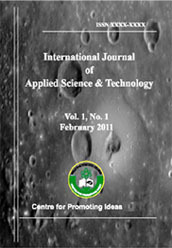 This study aims to identify the impact of strategies for E-commerce in the competitive peculiarity; this research relies the descriptive and analytical methodology to manifest the concepts of the study, analyzing them and induce the results through the survey of the random sample comprises (100) subjects who are managers at the nutritious industry companies and beverages which work in the capital city Amman. In order to achieve the study goals, I designed a questionnaire that included (18) items to collect the initial data from the study sample, in light of this, data where collected and analyzed. This study lames out with several results, the most important ones are: there is an impact for the of Interactive marketing strategies and the Supply Chain Management and the Electronic processing in the E-commerce in the In achieving competitive advantage in the companies working in Jordan. In light of the result arrived at, the study recommends to work on solicitude these strategies and to explore new strategies through the scientific research, moreover, the researchers recommends further research in this aspect.